A HUMAN SKULL that is believed to have been in the ground for up to 70 years has been found in the back garden of a house in South County Dublin. The skull was found by a man carrying out work on the back garden of his home in the Killakee area in Firhouse. 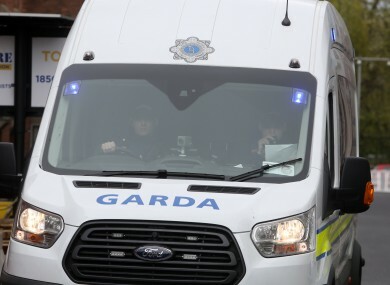 Gardaí were contacted about the discovery yesterday evening and the Office of the State Pathologist as well as a forensic anthropologist are assisting them with their investigations. Gardaí say that a preliminary examination indicates that the skull is believed to be that of an adult aged between 18-40 years and may have been in the ground since the mid 1940s. The skull will the subject of DNA analysis and the scene has been preserved for technical examination. Gardaí say that a review of missing person records will form part of their investigations but that no link has yet been established with any particular case. Email “Human skull buried for up to 70 years found in back garden in South County Dublin”. Feedback on “Human skull buried for up to 70 years found in back garden in South County Dublin”.